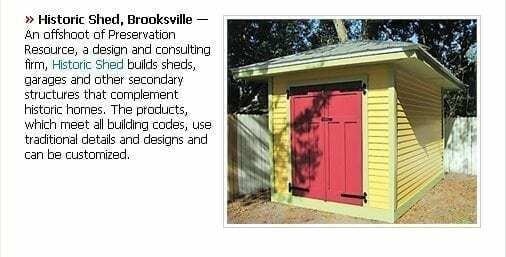 We were thrilled yesterday to see a Historic Shed photo highlighted on the Florida Trend Daily Pulse email that tells you “What You Need to Know About Florida Today”. The email links to an article entitled Form + Function in Cutting Edge Design. Historic Shed is included in the Reader’s Choice section on page 5 of the article and page 99 of the September 2011 edition. We are long-time subscribers to Florida Trend and are honored to be included in their selections of cutting edge design, with a traditional focus.